My friend Debbie hates celebrating her birthday. She even admits to being a little grinchy on the day. I am a firm believer that birthdays are meant to be celebrated in a big way. Not to get all emotional about it, but after having people in my life fighting cancer, or RCMP officers being gunned down... you really never know what is going to happen in this life. So celebrating the fact that you made is through another year on this crazy planet is a big deal to me. Yesterday was Debbie's birthday. So despite the downpour, we headed over to Lick's for some ice cream. Deb's son has a nut allergy, so we have to be careful about where we go. But, Lick's has a nut free soft serve, so Cole was able to join in the festivities which was great. I gave Debbie her present along with a huge helium bubble balloon. They are cool, they are what you would expect from a helium balloon, but they aren't foil. They are clear - and look really fun. I don't get to have balloons around very much. Brad hates them. Well, not the balloons exactly, he hates when they pop. Since we have a stipple ceiling at the house, if they hit the ceiling, they pop. So yeah, B's not a fan. After the festivities, Brad, the boys and I headed over to Twick. With selling the house, insane amounts of overtime and just everything else, I hadn't been there for a bit. WOWSERS! I should probably post this on the Twick update tab, but whatevs. All of the drywall is in, mudding/sanding are taking place, fireplace is in... so freaking cool. The boys bathroom looks so much bigger with the drywall in. The master bedroom is just awesome. It's quite big for a start, but because the walk in closet is off of the ensuite, you don't "lose" any wall space for closet doors. I am thinking we might put a dresser or something there, but the walk in is big enough to have dressers, so we might instead put some chaise loungers there or something. I would like to get an official date. Whatever it might be - if it's before August 22 (when we have to be out of our current place) great, if not.... oh well. We'll work it out. In fact, it might be kind of a crazy fun adventure. 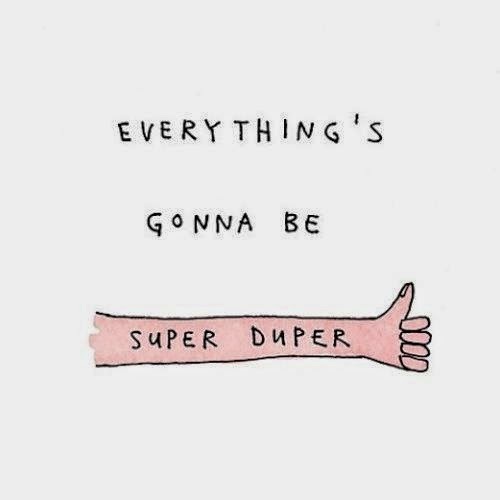 So whatever happens, we'll make it awesome.